As the distinguished historian Alonzo Hamby argues in this authoritative biography, FDRвЂ™s record as president was more mixed than we are often led to believe. The New Deal provided much-needed assistance to millions of Americans, but failed to restore prosperity, and while FDR became an outstanding commander-in-chief during World War II, his plans for the postwar world were seriously flawed. No less perceptive is HambyвЂ™s account of FDRвЂ™s private life, which explores the dynamics of his marriage and his romance with his wifeвЂ™s secretary, Lucy Mercer. Hamby documents FDRвЂ™s final months in intimate detail, claiming that his perseverance, despite his serious illness, not only shaped his presidency, but must be counted as one of the twentieth centuryвЂ™s great feats of endurance. Hamby reveals a man whose personalityвЂ”egocentric, undisciplined in his personal appetites, at times a callous user of aides and associates, yet philanthropic and caring for his nationвЂ™s underdogsвЂ”shaped his immense legacy. 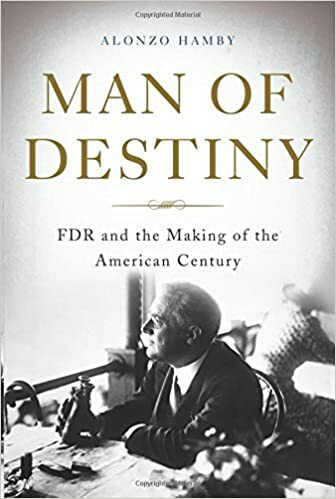 Man of Destiny is a measured account of the life, both personal and public, of the most important American leader of the twentieth century.